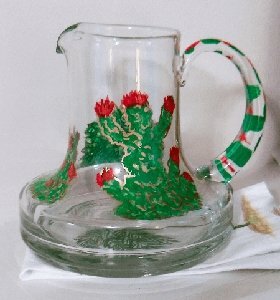 Custom Glass is lovely to look at, especially if it is hand painted, but it is very important to select the right piece of custom glassware for you or to give as a gift. It all depends on the personality of the person. If you are a baker or love to cook then our hand painted kitchen items would be right up your alley. Maybe you love to entertain and want something different then your regular china that you got when you were married. Let's shake it up a bit and choose a design of decorative glassware that is more about you now. We have lovely unique custom glass pieces of dinner plates, cups and saucers bowls, salad and dessert plates not to mention our glass serveware pieces to match. But most everyone loves drinkware, especially custom glassware in hand painted wine glasses and this is where we have you coved. 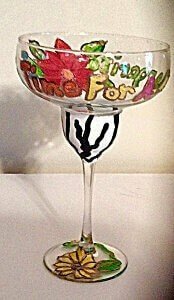 We have so many styles of all our hand painted glasses along with designs to match any taste. So come on what are you waiting for? Let's find the piece that is right for you and create a design together!